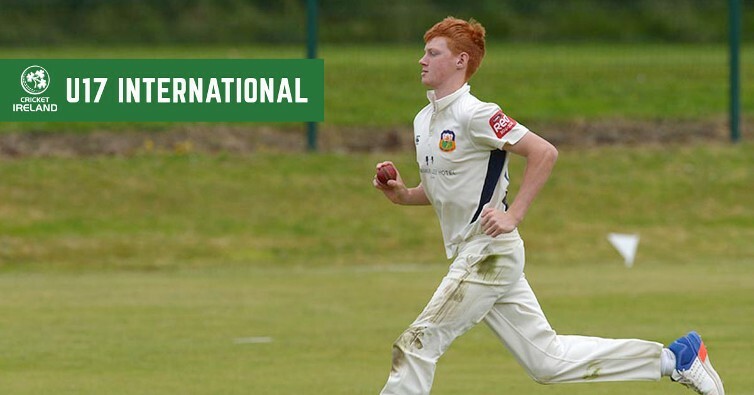 Cork County’s Aaron Cawley has been named in a 13-player Ireland U17 squad which will take on traditional rivals Scotland in four games, before travelling south to face Worcestershire in a further five matches in August. Aaron’s selection is just reward following an impressive season opening the bowling attack for Cork County in Leinster Division 2 and also spearheading the Leinster U17 attack in the recent Interprovincial tournament in Dublin. The side will be captained by Harry Tector of YMCA with players from 11 different clubs across fall four Unions. “We feel we have selected a well-balanced side that offers a variety of options in all three disciplines,” said Head Coach Nigel Jones. “With a view to an Under 19 World Cup in 2018 time our side reflects a long-term goal to develop, with no fewer than eight players available for selection in next seasons Under 17 series. Assistant coach Niall McDonnell added: “We have thoroughly enjoyed working with this talented group of young men for the past eight months. There are many dedicated and intrinsicallymotivated players who seek to forge a career in cricket. “As a management team we share a philosophy to develop the person in order to develop a player. With this in mind, it is great to see that so many of our players from the winter training programme have produced performances to merit selection, whilst equally pleasing to see two players selected as reserves who were not initially part of this squad.